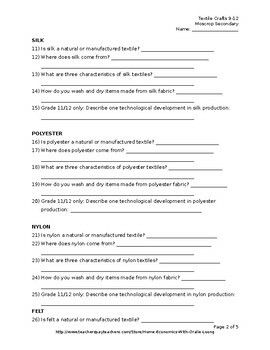 A one-class internet-based search for fabric attributes including source, characteristics, and care. 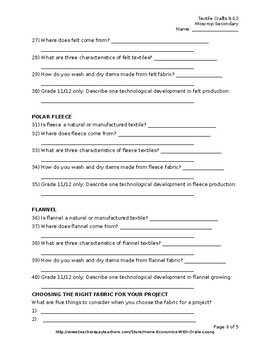 The last part of the assignment is a matching game where you will have to post samples of the various fabrics and have students try to guess which is which type. 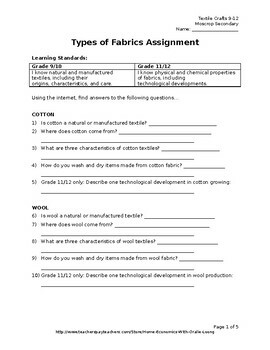 Note: you will need internet access for this assignment.